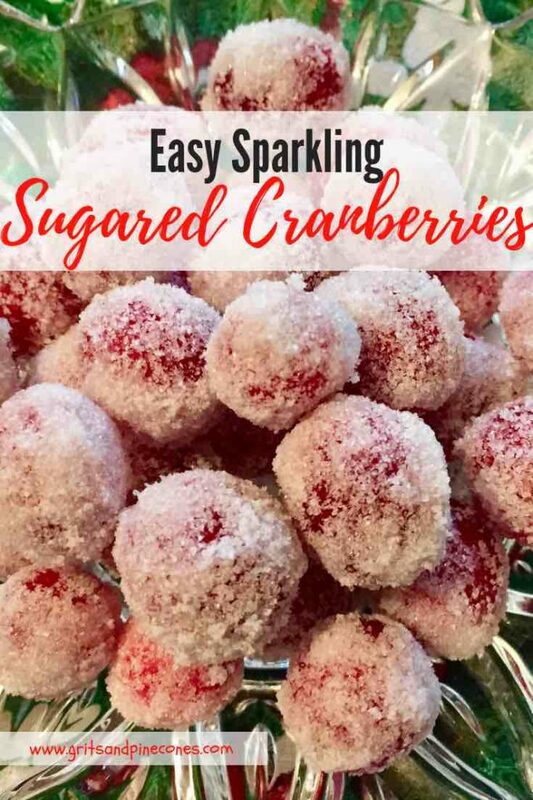 If you like the sweet and tart burst of flavor in cranberries, you will want to make this easy Sparkling Sugared Cranberries recipe! These delectable morsels are a wonderful holiday snack and make the perfect sweet touch to any holiday dessert. The sparkling sugared cranberries will add an amazing and unexpected element to a charcuterie board and are a great alternative to roasted nuts. Not only that, packaged in an attractive holiday tin, these tasty jewels would make a nice hostess gift and are a colorful and flavorful holiday snack. Your friends and family will never guess how easy they are to make. And, the best part, there are only two ingredients: fresh cranberries and sugar, and just a few simple steps! If you like this recipe, you might also like these easy recipes for homemade hostess gifts: Crispy Cheesy Southern Cheese Crackers, Dark Chocolate Billionaires Candy, Cranberry Infused Vodka, and Easy Ten Minute Olive Tapenade. Add the cranberries and stir gently to coat them evenly. Immediately pour the cranberry mixture into a bowl. Put a plate or another bowl on top of the berries to keep them from floating and cover tightly with plastic wrap. Refrigerate for at least 4 hours, or better yet, overnight. 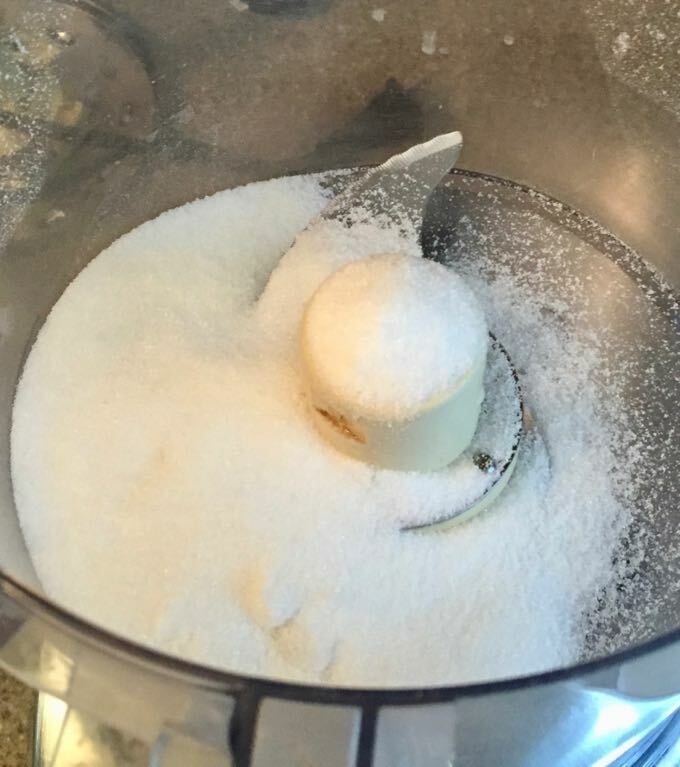 Place 1 cup of granulated sugar in a food processor fitted with a steel blade, or a blender. Process for 1 minute and the granulated sugar will turn into superfine sugar. Place the sugar into a gallon plastic storage bag. Drain the cranberries and add to the bag with the sugar in small batches. Shake to evenly coat the cranberries and spread out on a baking sheet lined with parchment paper or wax paper. Let the cranberries stand at room temperature for at least 1 hour, or until dry. 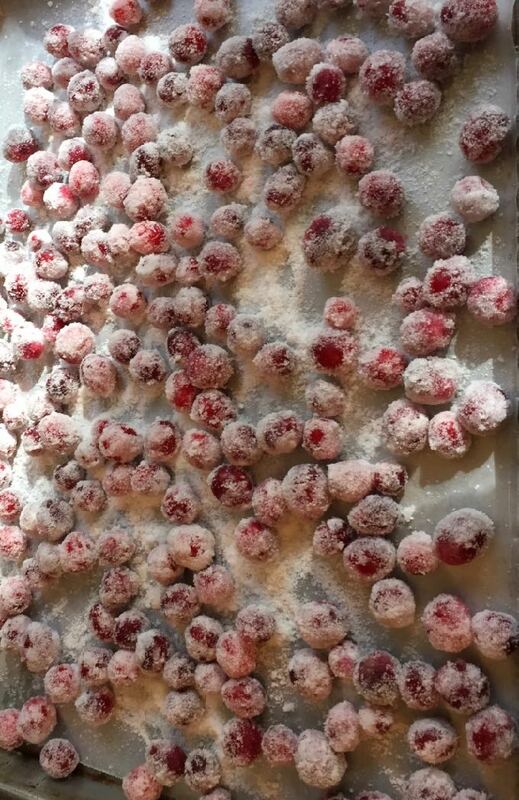 How do you store Sparkling Sugared Cranberries? Store the dry sugared cranberries in an airtight container at room temperature. 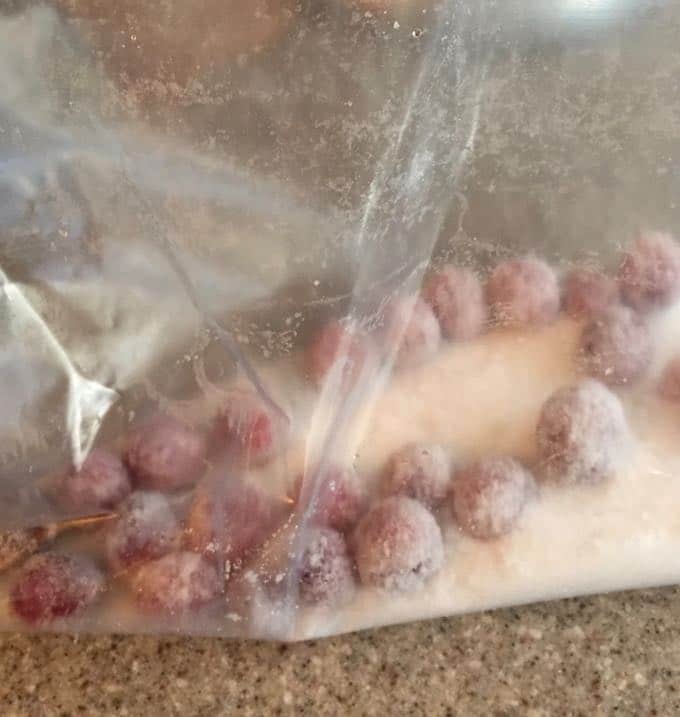 How long do Sparkling Sugared Cranberries last? 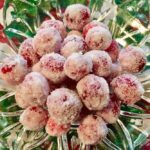 Sparkling Sugared Cranberries will last for up to 3 days. That is if you don’t eat them all first! Whatever you do, don’t try to speed up the drying process by putting the cranberries in a warm oven. They will burst! You can guess how I know this! ** This recipe was originally published December 13, 2015. Republished November 14, 2018, with new content and new photos. No change to the original recipe. Add 2 cups of granulated sugar and 2 cups of water to a medium-size saucepan over low heat. Stir until sugar dissolves. 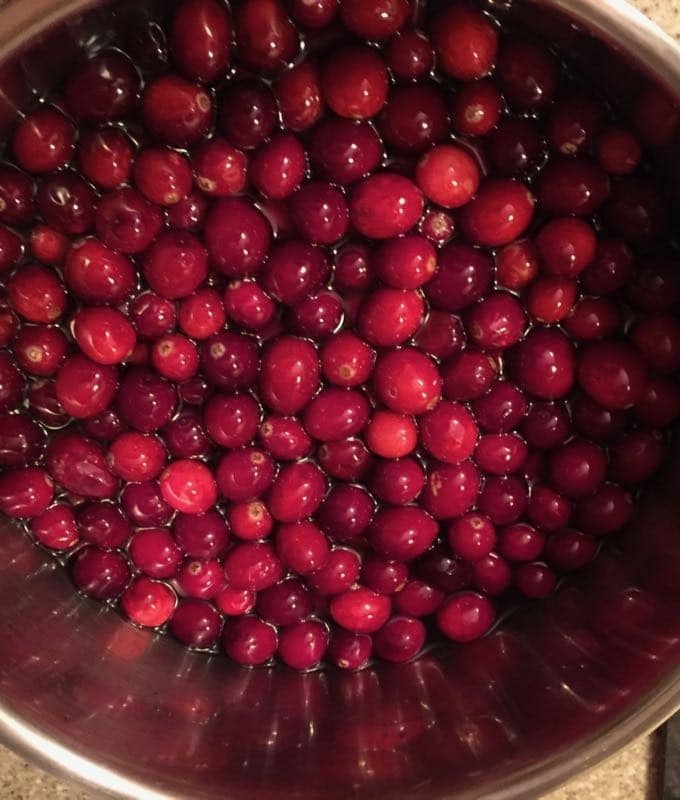 Do not let the water get too hot or come to a boil or your cranberries will pop open. Once the sugar has dissolved, add the cranberries. Pour into a bowl and put a plate or bowl in on top of your berries to keep them submerged. Cover tightly with plastic wrap and refrigerate at least 4 hours or overnight if possible. In the meantime, pour 1 cup granulated sugar into a food processor and process 1 minute with your steel blade. You can also use a blender. Or, if you have superfine sugar just use that. Add the superfine sugar to a gallon size plastic storage bag. Drain the berries, and add to the bag in small batches, shaking well to evenly coat the berries with sugar. Spread out on a cookie sheet covered with wax or parchment paper. Let dry at room temperature for at least 1 hour or until dry. Whatever you do, don't try to speed up the drying process by putting the cranberries in a warm oven. They will burst! You can guess how I know this!